A few years ago I discovered crafting. It had always been an important part of the lives of people I love, my Nan and my Aunty Deb in particular. I have always marvelled at the things they made and loved the few things that became mine after someone had worked so hard to bring it existence, but I never really felt that it was for me. Then I found a book – How to make dinosaurs and dragons, a wonderful book from the 1970’s, much older than me. I was at a swap meet and it cost me a dollar, and needed me to own it. My best friend had not long before had a 1st birthday party for her son and the centrepiece was his dinosaur cake. 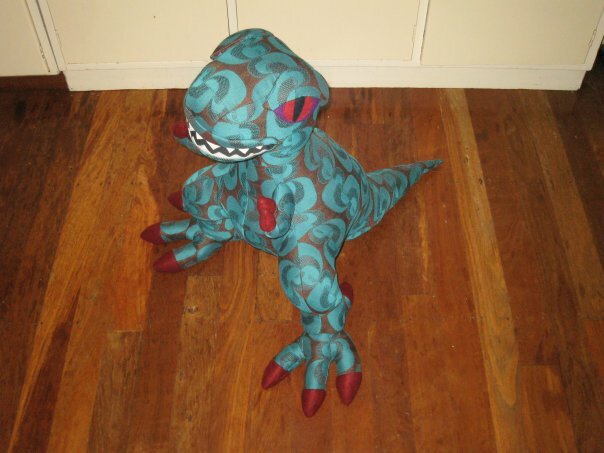 Putting these things together I decided that despite not having touched a sewing machine in 12 years since a 6 month, year 8 sewing class I would make a T-Rex for my godson’s 2nd birthday. This required that I not only teach myself how to sew, but I had to get a sewing machine and all the other things that you need to sew anything. 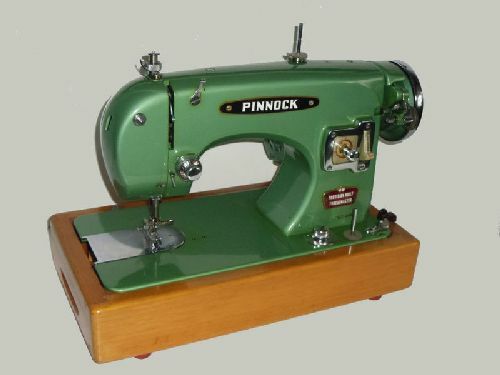 The machine was easy; I acquired from someone’s rubbish a beautiful, green Pinnock machine. Made in Australia in the 1950’s, she is sturdy, vintage and still in her original case. All I needed was a copy of the manual, which I found available as a PDF online and a new foot. I have a brand new machine, but I still love to use her because she cost me $10 to get in order and just runs so smoothly for a girl pushing 60. Anyway enough about my enamel and timber precious, back to the T-Rex. The book suggested upholstery fabrics, with no experience I trusted that and ended up with a beautiful, kitsch teal and brown pattern. Next step enlarge and cut out the fabric, the pattern needed to be enlarged about 200%, I actually had to get it professionally enlarged in order to get the body printed on A2 paper. That was when I began to be concerned. I also procrastinated a little, and as a result had 6 weeks to make my first ever toy, do my first real sewing, before my deadline. Somehow I managed it, every hour I spent at home was focused on working out how to sew, stuff, and finish what ended up being a toy larger than the small boy it was intended for! And that was just the start of me making crazy things.